The Armenian Apostolic Church is preparing to declare the sainthood of the thousands of victims of genocide at the hands of the Muslim Ottoman Empire. Scheduled for April 23 at the patriarchal headquarters of the Catholicosate at Echmiadzin in Armenia, there will be a solemn liturgy to recognize the sanctity of the 1 million to 1.5 million victims of the Armenian Genocide that began one hundred years ago near the end of the First World War. In a statement released on February 3, Patriarch Karekin of Echmiadzin said "The Armenian Church does not sanctify. It recognizes the sanctity of saints or of those people that is already common among people or has been shown with evidence. The Church recognizes only what happened, that is, the Genocide." The decision to canonize the victims of the ethnic cleansing was made in 2013. This occurred in the first ecumenical meeting of all the Armenian Apostolic Bishops, both those who are under the authority of the Catholicosate of Echmiadzin, and those related to Catolichosate of the great House of Cilicia and Catholicos Aram I, which is based in Lebanon. In the liturgy on the April 23, the "Martyrs of April," composed by the late Bishop Zareh Aznavourian, will be used. Heads of other Oriental Orthodox churches and other churches will be in attendance. 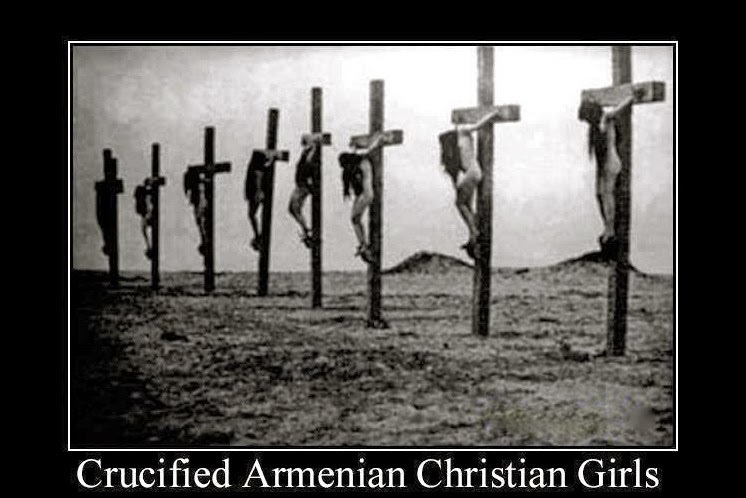 The genocide was carried out by the Ottoman government, which targeted minority Armenians and other Christians in a territory now part of present-day Turkey, as well as Lebanon. At least 1.5 million Armenians died in the systematic execution. The modern government of Turkey still refuses to term the disaster a genocide since it occurred during a government that was subsequently overthrown. Turkish President Recep Tayyip Erdogan has invited Armenian President Serzh Sargsyan to attend the commemoration of the Battle of Canakkale on April 24, on the day of the genocide centenary. Sargsyan rejected the invitation. Since then, during a tour of Latin America, Erdogan accused Armenians of "refusing an outstretched hand of help and dialogue." "As we approach April 24, the centenary of the Armenian Genocide, President Erdogan multiplies the provocations against Yerevan (the Armenian capital), departing from the least hope of reconciliation,” said a report by France 24. The longstanding dispute between Turkey and Armenia, and the Armenian diaspora, is about to leak over into the world of entertainment. At the upcoming May 19-23 Eurovision Song Contest in Vienna, Armenia is expecting to present a song that recalls the genocide and Turkey’s stalwart to call it so. Provocatively called “Don’t Deny,” the song will be performed by a group dubbed "Genealogy" that is composed of performers from Armenian communities in Africa, Europe, the Americas, Asia, Australia, and Armenia.